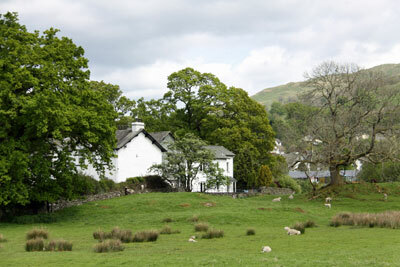 There is no excuse for being lazy in the Lake District if sports and activity are what you are looking for. Some people want to relax and enjoy the tranquility and beauty of the National Park, soak in the sights and chill out amongst some breathtaking landscapes… others want a fast paced, energy filled holiday, full of things they usually cant get involved in or just wish to stay active! Listed below are some examples of activities you can get up to at the Lake district. Walking: Walking is a common activity in all National parks across the globe, not only does it give you the opportunity to explore the amazing landscape but also to keep moving and stay fit whilst your away. Walking groups find the Lake district the perfect location because of its mixture of terrain and its variety, from mountains to rolling hills to glistening lakes. The lake district offers walkers guided walks of varying difficulty to meet the needs of different abilities, ranging from easy to strenuous. Make sure you get the right grade for you and don’t overestimate your physical ability as this could be dangerous to your health. The grades are measured on height gained, the length of the walk, steepness and of course the gradients. There is also the opportunity to walk freely in over 55% of the park, there are routes for children, people with mobility difficulties, people with pushchairs and also the visually impaired. On the water: The Lake District is home to over 16 lakes (hence the name) and numerous tarns, plus a great stretch of coastline. These provide fantastic opportunities to take part in sports and activities that you may not usually have access too. There are four lakes which specifically have water sport and boating centres, these are Coniston, Windermere, Derwentwater and Ullswater. If your looking to hire out a rowing, sailing or motor boat for the day so you can explore the lake yourself then take a visit to Coniston, Waterhead, Low wood, Bowness and Fell Foot park. You can also experience a relaxing cruise for a quick break before grabbing a canoe or kayak from Bowness and taking a more exciting trip round the lake.You can also try dingy sailing, kneeled yachts, water skiing and power boating although some of these activities are seasonal and only available in summer. There is also the opportunity to kite surf at Silecroft Beach. Cycling: All cyclists from road bikers to mountain bikers are spoilt for choice here in the lake district whilst on a self-catering holiday.With country lanes and permitted cycleways to explore you will not be bored of the stunning views. With tracks suitable for experienced riders or those who are less adventurous, you are sure to find the perfect route for you. You can even hire a bike from the bike hire at Coniston. The Eskdale trail is also a great experience for anyone looking for more of a challenge or purpose to their ride. You can cycle a converted carriage on the Ravenglass and Eskdale Railway riding from the foot of the Scafell range via the riverside pastures, meadows and historic woods of the valley down to Ravenglass on the Irish sea. Climbing: Discover Keswick and Kendal climbing walls for those of you that are interesting in climbing but are still at a novice stage, there is a chance for the kids to get involved too and get stuck in, or on, should I say. On the other hand for those of you who are more experienced then there is always the Leo Houlding climbing routes. Horse riding: Such a relaxing yet exhilarating sport, horse riding in the lake district is a fantastic experience. From a gentle walk through the bridle ways taking in the sights and lapping up the tranquility to a exciting and exhilarating gallop across an open beach there is plenty for all to enjoy for all ages and abilities. 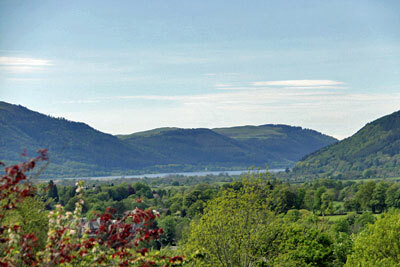 Enjoy panoramic views from horse back across beautiful lakes and fantastic landscapes. Miles of country lanes, quiet bridleways and open fields await you giving you the opportunity to take the trip at your own pace, whether your experienced or a beginner. These activities and sports are only the beginning of what the Lake district has to offer so make sure you investigate before arriving on your self-catering country cottage holiday and make sure your booked into some fantastic active days out! And with so many sports available and so much to keep you active, there is no excuse for being bored or lazy in the lake district!